GAL AeroStaff fournit des services spécialisés de recrutement dans l'industrie de l’aviation commerciale et d’affaires. Nous sommes présentement à la recherche de Technicien Licencier M1 ou M2 pour un contrat de 3 mois en Ontario. GAL AeroStaff est un fournisseur de services OEM approuvés à l'étranger. Nous offrons des salaires compétitifs, ainsi qu'un environnement de travail professionnel et éthique. 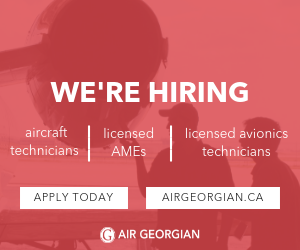 GAL AeroStaff, which provides specialized staffing and recruiting services in the Business & Commercial aircraft industry, is presently seeking Licensed M1 or M2 Aircraft Technician in Ontario for a 3 months contract. GAL AeroStaff is an internationally approved OEM service provider/supplier. We offer competitive salaries and an opportunity to travel throughout the world, as well as a professional and ethical work environment. All other related duties as assigned by the Supervisor.